Gorgeous trails all over the park. We hiked this one with the girls out to a lake. 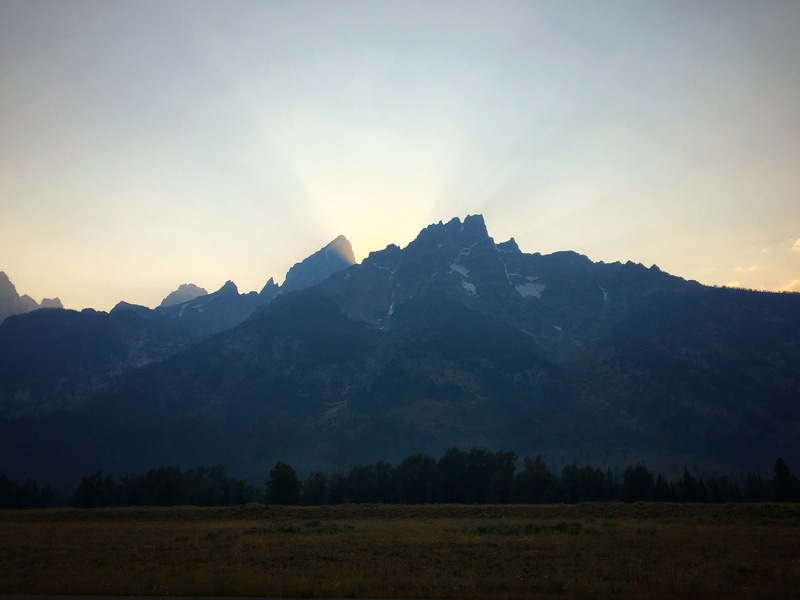 After traveling for weeks across the Great Plains (the US government changed its name on maps from the “Great American Desert” in 1860 to better persuade people to move there), the giant and abrupt Teton range was a welcome, if not shocking, sight. I have always heard amazing things about this National Park, the often over-looked little brother to neighboring Yellowstone. One of the area’s biggest evangelists has always been my own grandma, who has been talking up these mountains since she first saw them about 15 years ago. I called her one day as we drove the main park road. “Oh, I’ve been there!” She responded cheerfully, as if there was some possibility that this would be new information to me. “I know, Grandma,” I laughed. 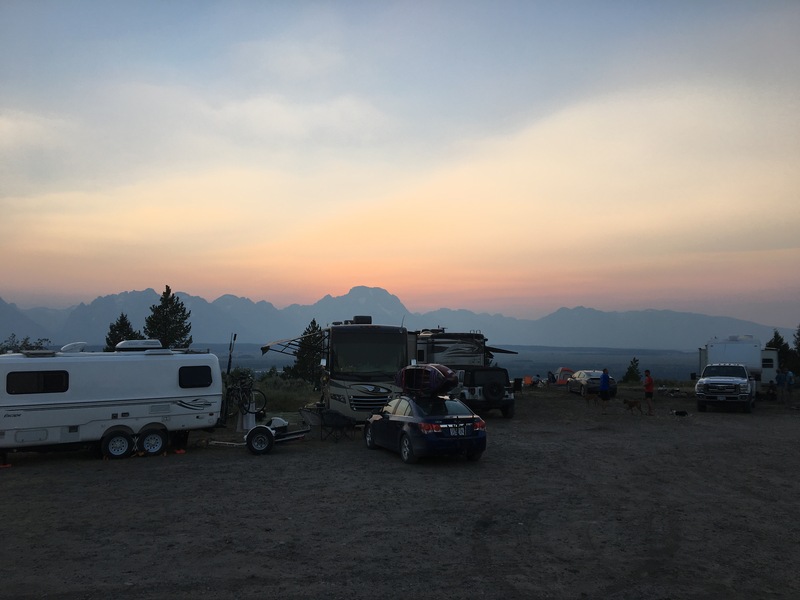 In the Tetons we had our first boondocking experience that was longer than just a couple of nights. Armed with new batteries, a working water pump, a full fresh water tank, and a bunch of meals that only require 1 pan and can be eaten over a paper towel, we pulled off the main park road onto a dirt, wash-boarded forest service road toward what people call the “Upper Teton View” camping area. It lived up to its name. 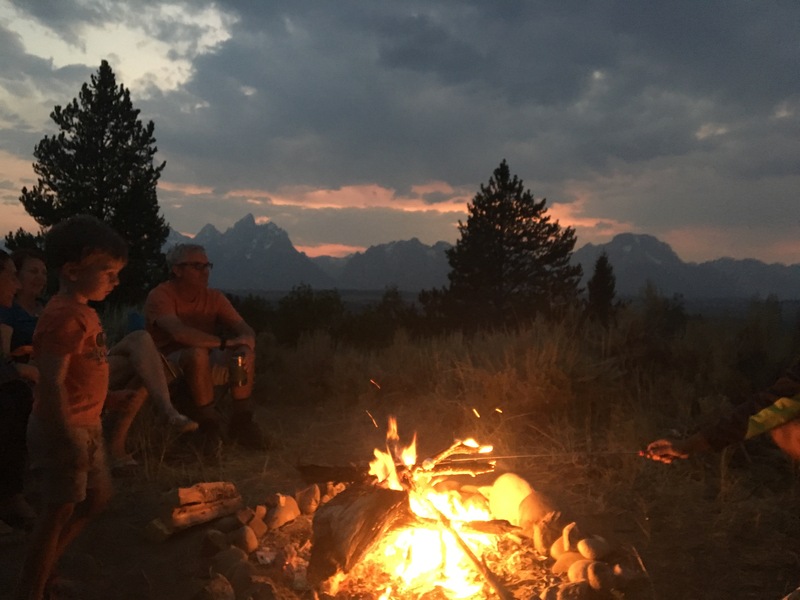 Group campfire at Upper Teton View. We stayed in the Tetons 6 days and in that time did a couple of guided ranger hikes, swam in a glacial fed lake, completed the junior ranger program, and found another leech in the sand (how none of us the 9 of us on the beach didn’t end up with it attached to us I do not know, but when it wriggled out of the cup we had it in for observation and touched my finger with one or the other of its blood sucking ends, I squealed & jumped like a child). We watched bison, elk, and pronghorn roaming the plains, tried several more times to spot a moose UNSUCCESSFULLY. 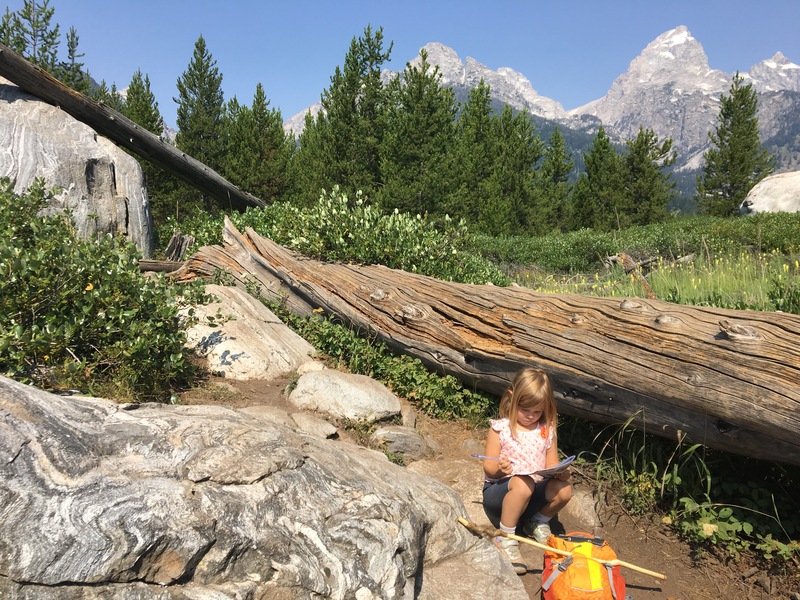 Brad happily deserted us for a couple of long days hiking into the Teton range, miles and miles on trails alone, armed with bear spray and a giant walking stick but no cell reception. It’s like I wasn’t even worried when he kept not getting home at his estimated time. It’s like all the “Don’t hike alone. Never run.” signs didn’t concern me. It’s like it didn’t make me nervous that he’d run into a bear cub on a hike earlier in the week, and then didn’t get home when expected the next time. It’s like that, except the opposite. When he finally got into cell service mid-afternoon he called me. “Hey, how’s it going?” he asked in his goofy, post-hike, gleeful voice. “Well, ok now…” I said, feeling a mix of rage & relief. “You always say that,” I grumbled, glad to be interacting with him over the phone so I wasn’t tempted to simultaneously hug him and slap him. 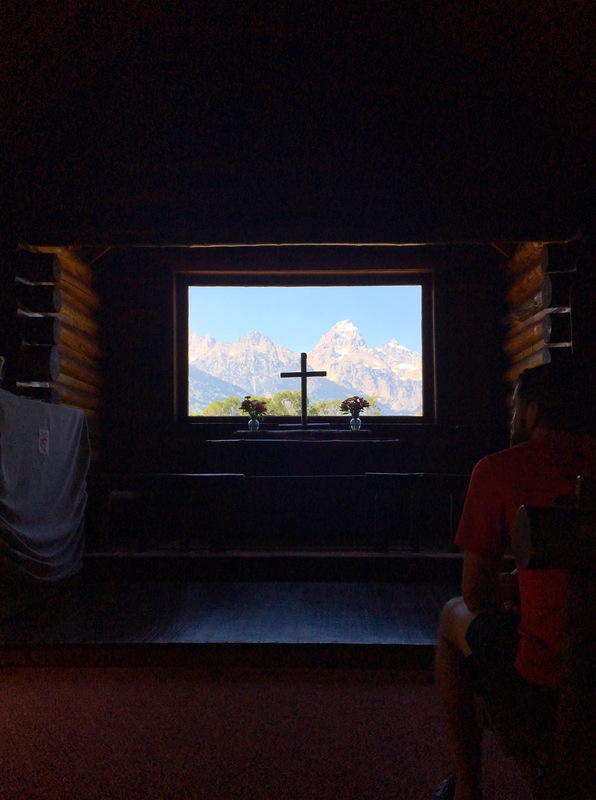 Chapel of the Transfiguration in Tetons National Park. So many people crowd into the tiny church on Sunday mornings in the summer that they open the windows and people crowd around on the outside as well. We enjoyed the sanctuary one afternoon while the organist rehearsed her music for Sunday. Coral working on her Junior Ranger Book. 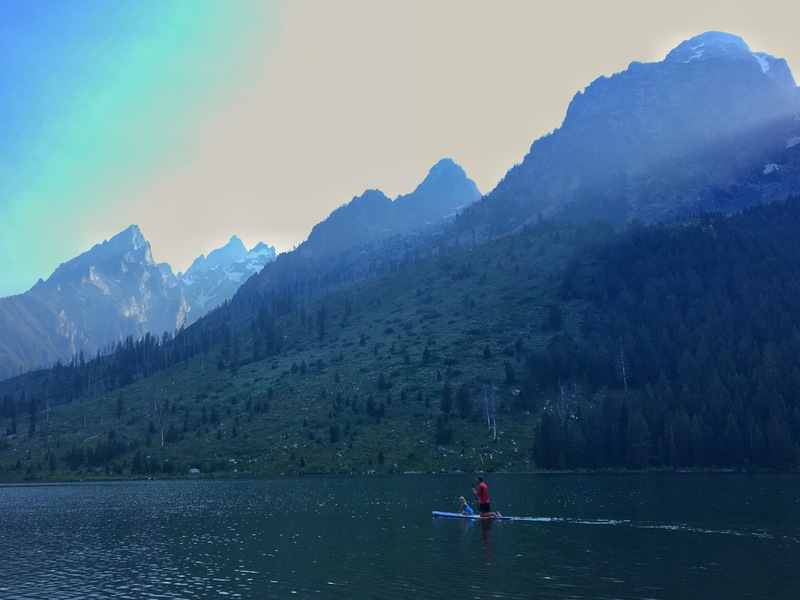 Some friendly paddle boarders on this lake insisted that we take it out for a spin. This close to the towering peaks, the sun sets early. We watched it set here, then again from the park road when we drove out from under the mountains’ shadow, and then up at our campsite we saw it set again. Three sunsets in one day! 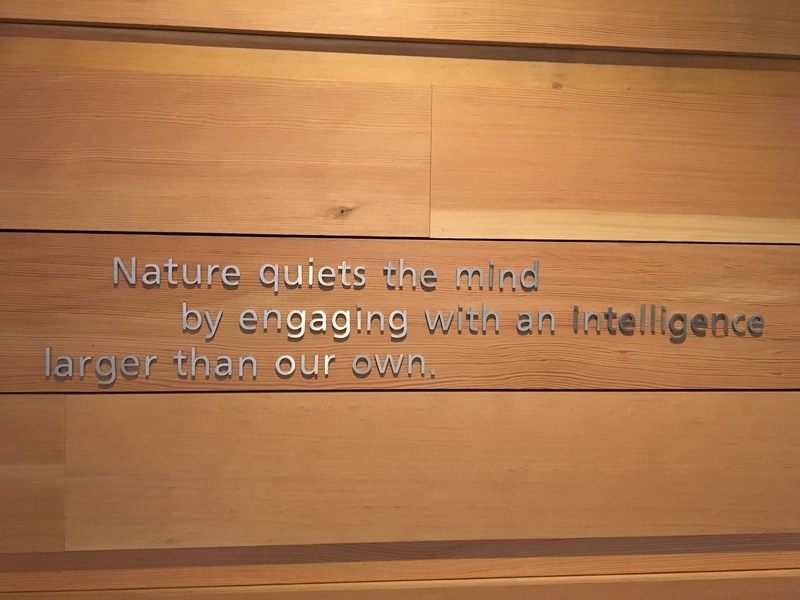 Laurance Rockfeller quotes adorned the walls of the Rockefeller Nature Preserve on the south end of the park. The park was amazing and beautiful. The views from our campsite were breathtaking. (The first half of our stay the scene out the windows took our breath away, the 2nd half of the week the smoke from Canadian fires did.) 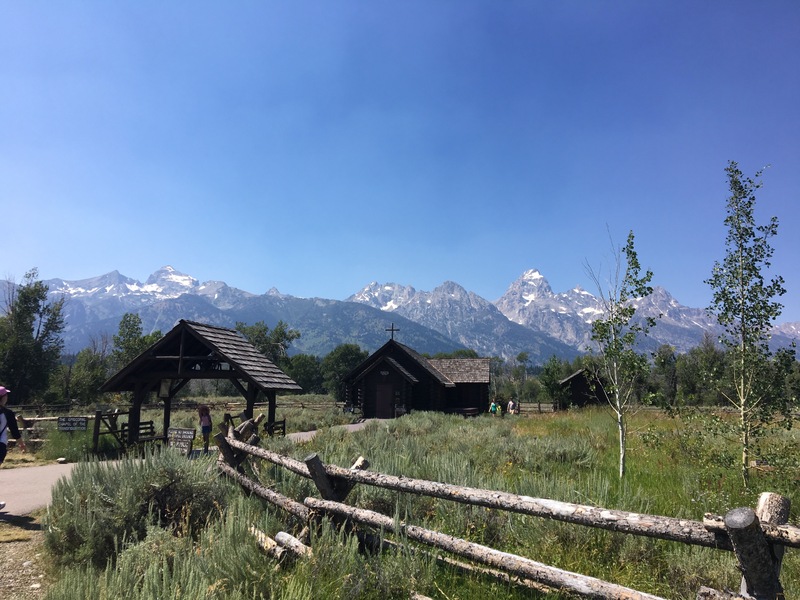 But the best part of our week in the Tetons was neither of those things…it was our little neighborhood at Upper Teton View. On any given day there were 10-20 other groups of people camping in various little dispersed sites on the hilltop. Some came & went after just a night or 2, but others were there multiple nights so we got to know them better. The semicircle of class A motorhomes, trailers, and tents along the “front row” edge made the campground feel like a cul de sac. Many evenings someone would go out to throw a ball for their dog, and they would be joined by multiple other campground dogs. Some fellow campers were making repairs to their rigs, and other people would gather around to help. Everyone was so friendly and helpful. About every other night someone hosted a campfire on the edge of the hill facing out toward the mountains, and they would make the rounds to invite everyone to bring s chair & a drink and join the fun. We met such wonderful and fascinating people around the fire. 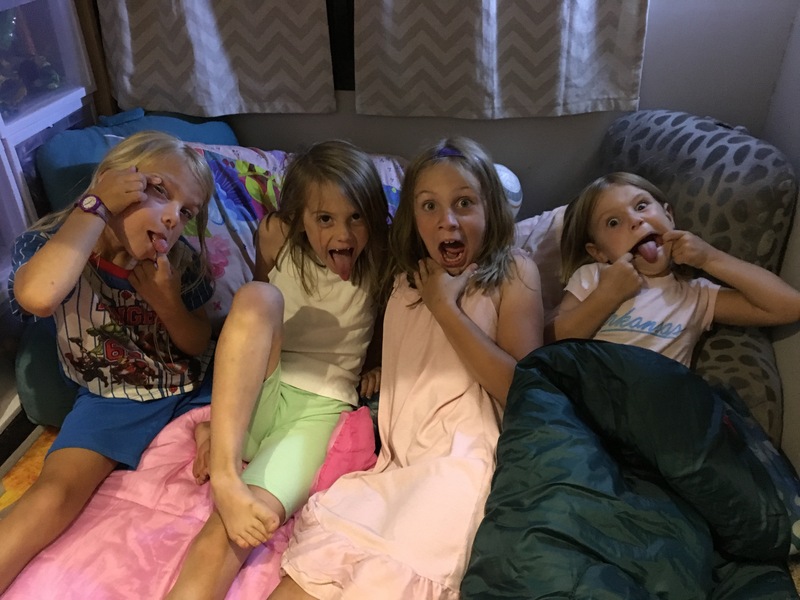 There was a wonderful family of 5 from Texas who began full-time RV’ing a few months ago, and we immediately had a connection. Our girls made quick friends with their girls who were the same age and wanted to do nothing more than play with them at all hours. We went on a hike with them, a swim, and even got invited over for dinner. Sunny with new friends at a Ranger talk about pronghorn migrations. Shenanigans with great new friends. There were also Tom & Andrea, the self-designated greeters, who personally welcomed many of the camping groups when they arrived and hosted many of the fires. Their sweet, comfortable manner really set the tone for the whole community. There was Steve, an older bachelor from the Chicago area with thick framed glasses and wispy white hair that went in all directions. He was new to full-timing but had somehow already been everywhere, and gave the immediate impression that he’d been living in the woods most of his life. He was an endless wealth of information about good boon docking locations, best off-the-beaten path slot canyons to explore, and archeological sites in national parks that they don’t put on the maps. One night around the fire he got particularly animated telling me about his interaction with a national park service ranger who told him, “THATS A CLASS 2 ARCHAEOLOGICAL SITE! !” when he asked how to find a particular destination. This exclamation was met with several “Shushes” from those concerned about the comfort of the campers already trying to sleep. Steve told us every night that he was “leaving tomorrow” but never did until we quit believing him, and then one day this grandpa of our neighborhood community just left without even a goodbye. Then there was the young couple of wedding photographers from Virginia who had just launched as full timers. They had a 2002 Keystone Cougar just like ours with a slightly different floor plan, so we had a lot of fun comparing homes. There was the family of four from Georgia who had just started a 6 month trip. 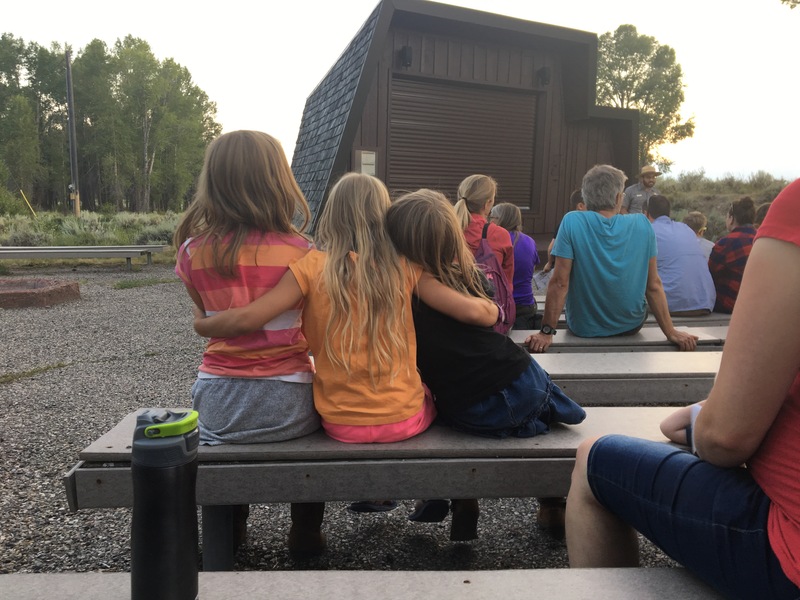 The dad of this group had so much to drink at the first campfire we attended that he fell over in his camping chair, an event which continued to be the neighborhood’s favorite story for a laugh the rest of the week. 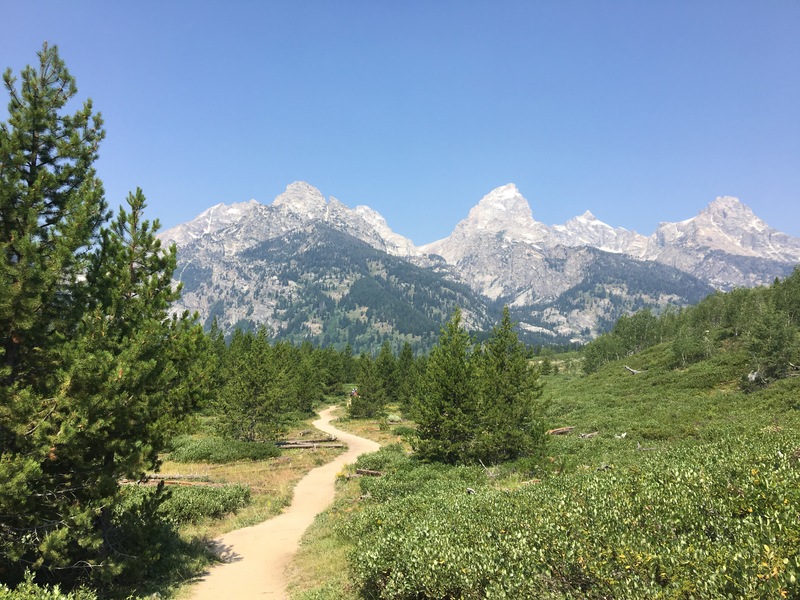 There were the 3 siblings from Texas who were there to do the 40 mile hike across the Tetons, and the brother and sister from Washington who had been traveling during summer break from college. They go to school about an hour from Wenatchee but had never been; I encouraged them to change that. There was the cool couple covered in tattoos and piercings who left Florida 4 years ago to live life on the road. They told us over the campfire that their adult son had rebelled by joining the navy. I found it really interesting that we were visiting the state with the smallest population, but this is where we made the largest number of new friends. “I know what you mean,” I said. “My husband is a trail runner, so he’s always seeing wildfire. 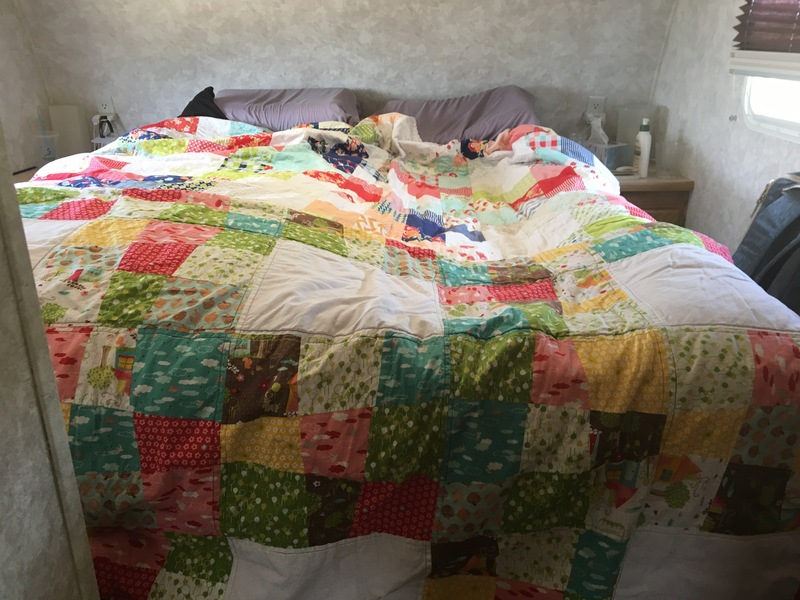 He told me he decided a long time ago that if he sees one without me he’s just not going to tell me.” The couple exchanged glances & laughed, maybe considering whether this arrangement would work well for them. you are such a great story teller; i feel right there with you, which makes me sad that i’m not right there with you.